Despite its yet to be fully explored potential, experts have projected that in view of recent improvements in headline indicators, the insurance sector in Nigeria is set for a gradual but progressive growth in the years ahead given the increasing interest of foreign investors in the sector. Part of the attractions of the market with strong long-term investment returns fundamentals are the increasingly innovative diversified products as well as policies that most of the operators are developing and promoting to deepen insurance penetration in the country. According to the statistics on the industry released by the National Insurance Commission, (NAICOM), the industry regulator, as at last year there were 58 policy writers, comprising 29 general insurance companies, 15 life insurers and 14 composite insurers offering a full range of services. 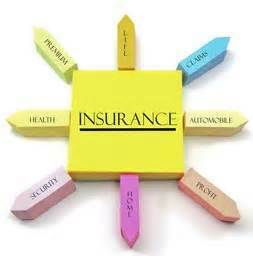 NAICOM also reported recently that more than three million Nigerians had some form of insurance, up from less than 1million in 2007, adding however that coverage rates vary, with higher levels for property and automotive insurance as against the very low take-up of personal policies. With greater acceptance of insurance products, premiums and assets have consistently been increasing over the past few years as gross premiums rose from less than N100 billion (about $502m) in 2007 to N302 billion (about $1.51bn) at the end of last year. Similarly, the value of asset values rose significantly during th same period, rising from N347.1 billion (about$1.74bn) to N711.4bn (about $3.57bn) by the end of 2014. An appraisal of the industry by the Oxford Business Group, OBG, recently indicated that the rise in premiums was already attracting new investors, in spite of the large number of existing players. Specifically, the OBG, noted in its latest report that reports by the media on the nation’s insurance sector showed that more than 12 foreign insurers, including the UK’s Prudential Life and Liberty Group of South Africa, were opening talks with regulators to enter the market. The report however quoted the outgoing NAICOM’s insurance commissioner, Fola Daniel, as admitting that while the increased interest from overseas underwriters remains desirable, the Commission would have preferred the potential entrants to buy into existing firms, rather than coming in as distinct new players. Daniel’s stance aligns with the regulatory strategy of past years which based on the regulatory policy in introduced in 2007 by NAICOM that raised the capitalization base for operators prompted a round of mergers and acquisitions, with the number of firms in the marketplace falling from 117 to its present level of 58. One of the major platforms upon which improved participation of more investors in the industry could be positioned is the increasing innovation by operators, largely supported by enabling policies and regulations by the NAICOM, which has improved the variety of products in the market. For instance, industry experts have identified Islamic insurance, or takaful, as one of the products that could further help in deepening insurance penetration in the country. They noted that a large muslim population in the country, takaful, which is an Islamic insurance product that also appeal to non-Muslims, could deepen the market and improve the industry’s contributions to the nation’s Gross Domestic Product, GDP, significantly. Although the first set of regulations for the takaful were released in 2013, NAICOM is now putting in place all of the supporting pillars for the development of Islamic insurance. Despite the very promising prospects of the industry, analysts believe that the current fiscal challenges characterized by falling oil prices and the attendant dropping revenue for Nigeria could hamper the drive towards improving the performance of the industry in the short and medium terms.